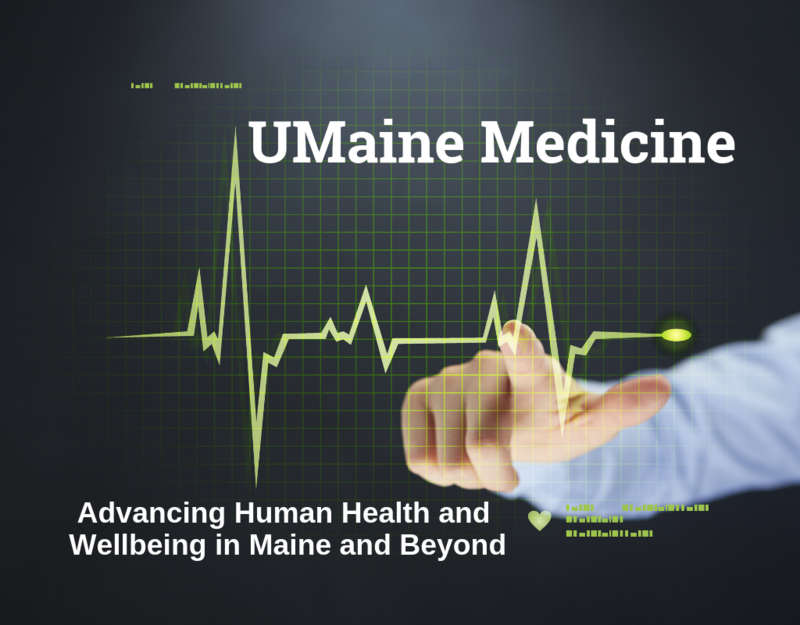 More undergraduate students at the University of Maine have the opportunity to take part in innovative research. 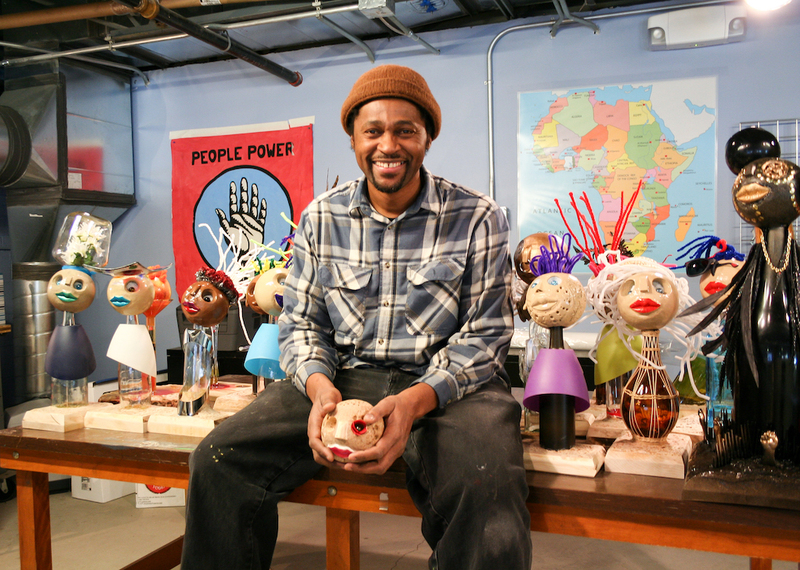 This experience carries through into their graduate studies and careers. The Maginnis Lab has students who started their research as first-years and continue it as graduate students. 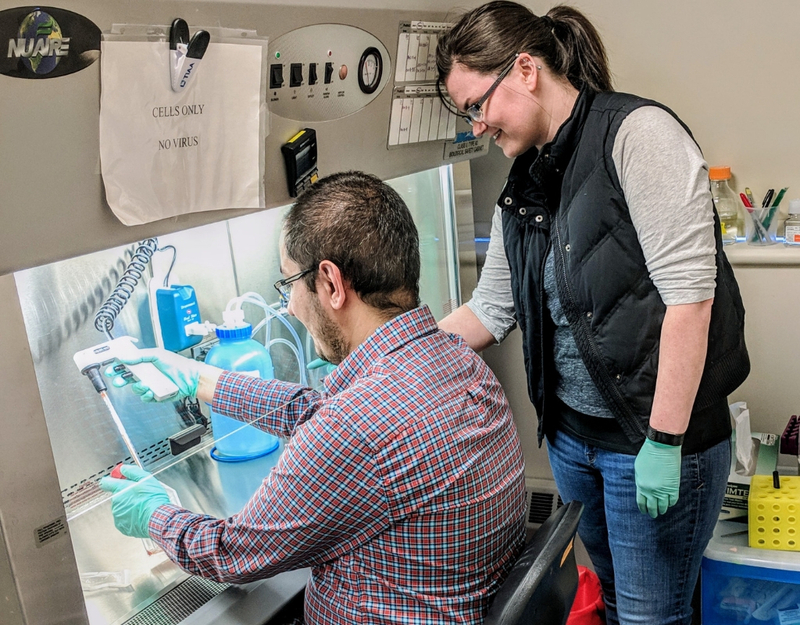 Melissa Maginnis, assistant professor of microbiology, oversees the lab and enjoys mentoring student researchers and watching them excel throughout their academic careers. Ashley Soucy, a doctoral biomedical student, began as a student research assistant in the Maginnis Lab on her first day as a UMaine undergraduate. She believes the passion Maginnis has for research sparks interest in students across all academic levels to become active members of the scientific community. Maginnis opened the lab in 2014 to study the human JC polyomavirus. She says 50 to 80 percent of the population carries the virus – but healthy humans will not show symptoms. The virus resides in the kidneys but will migrate to the brain in an immunosuppressed person and cause progressive multifocal leukoencephalopathy (PML), which damages nerves and is fatal. Funding allows the lab to offer undergraduates a chance to conduct research and receive stipends. 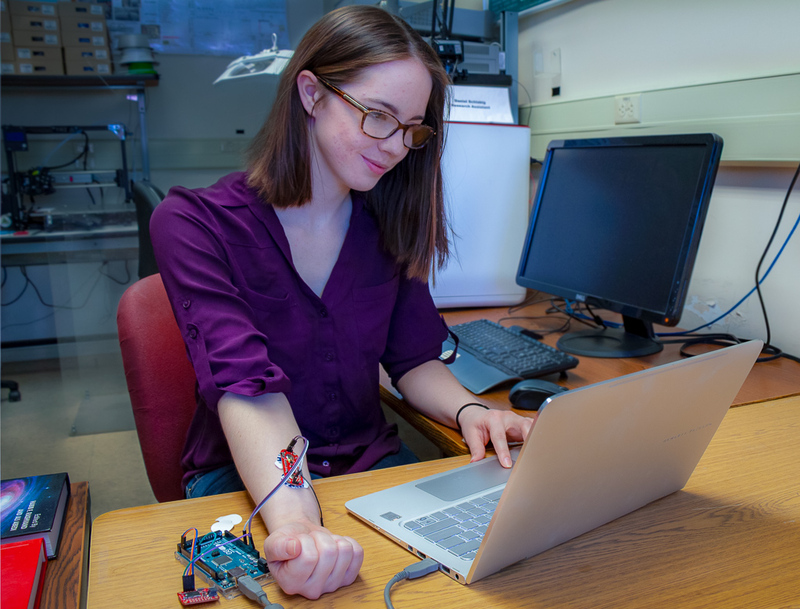 Maginnis has had students funded by the Center for Undergraduate Research (CUGR), the Maine Space Grant Consortium (MSGC), the Radke Undergraduate Research Fellowship and had grant support from the UMaine NIH Proposal Submission Incentive Program. 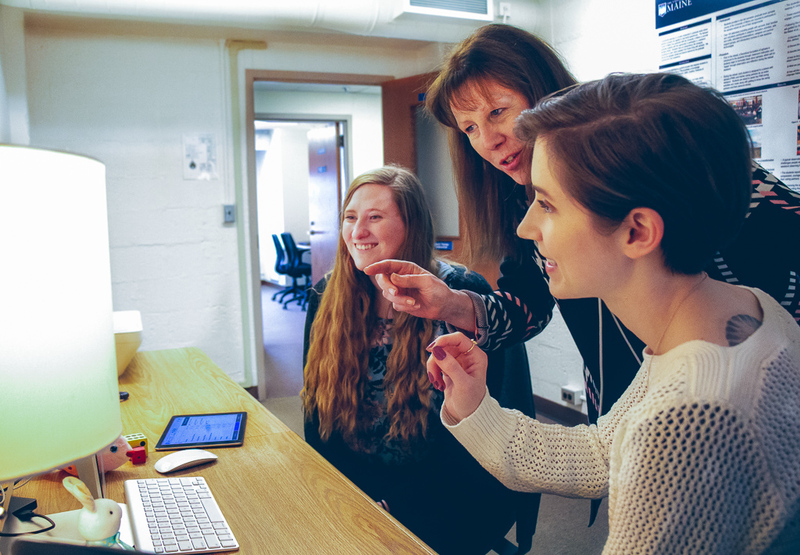 Maginnis usually has a wait-list of students eager to work in the lab each year. Five graduate and three undergraduate students currently work in the lab on individual projects. Maginnis believes undergraduate participation in research, presenting at symposiums and conferences, and working as a team in the lab provides students with invaluable experience. She encourages them to practice communicating research to the public and build strong foundations for their careers. CUGR recently released a trend in upward numbers of undergraduates seeking fellowships and research opportunities. 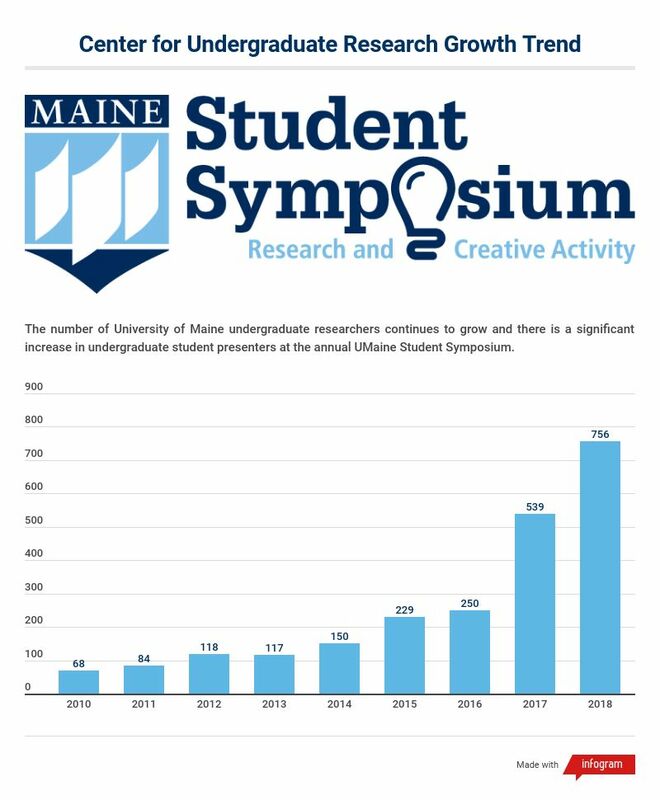 Almost 800 undergraduates presented their research at the 2018 UMaine Student Symposium. 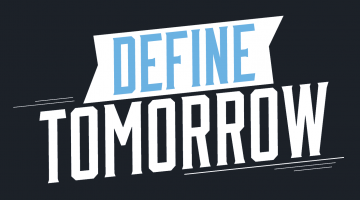 The Maginnis Lab will submit eight graduate and undergraduate projects for this year’s event. The Maginnis Lab has been funded by the Maine INBRE through the NIH-NIGMS from 2014-2019. Ashley Soucy won the award for “Best Undergraduate Presentation in Biomedical Sciences” at the 2018 UMSS and was supported by a CUGR Summer Research Fellowship, Maine INBRE Summer Fellowship, INBRE Junior Fellowship, and Senior Fellowship. 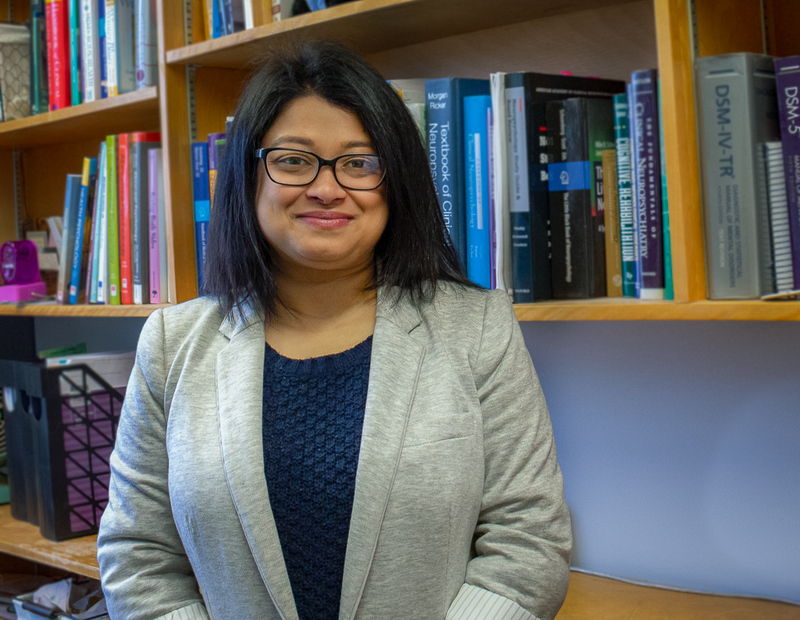 From her work in the Maginnis Lab she earned a second authorship on a paper recently accepted for publication in Journal Virology as a Spotlight article of significant interest.